Looking to promote your dental care services and generate leads for your clinic? Want to attract international patients to your dental practice, hospital or medical tourism agency? In fact, we receive inquiries every month from people who want to know where they should get dental implants in their city or state or in countries such as: Mexico, Costa Rica, India and Romania. They are looking for the right clinic – and you’re missing out on a lot of customers if you don’t have a profile on our site! A Practice Profile is an interview with a dentist or surgeon at your clinic (conducted via email) that answers potential patients’ most frequently asked questions. It is a quick and easy way to create a presence on DentalImplantCostGuide.com so you can take advantage of the exposure to the potential customers that visit our site every month. And best of all, it’s free. A Practice Profile is an advertising opportunity that every clinic should take advantage of. 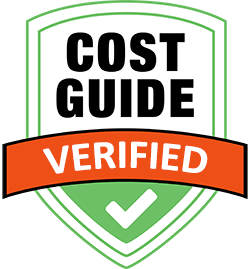 Becoming a Cost Guide Verified clinic is for businesses that are serious about their online marketing and is the best way to promote your brand and generate traffic and leads for your clinic. Exclusive Leads – All inquiries submitted on your listing are sent only to you. Multiple Formats – Receive leads as they are generated by phone or email. Our fee for this lead generation service is as little as $10 per inquiry (paid monthly) or a fixed fee per month for unlimited leads paid annually or every 6 months. Rates vary by location. Please contact us to find out how much we charge in your area. You only pay when a visitor completes the inquiry form or calls your clinic’s unique tracking number – which is automatically forwarded to you. If you’re located in an area with a lot of competition from other clinics, you’ll want to become Cost Guide Verified in order to stand out from the competition. Start generating more traffic and leads for your shop. Click the button below to get started! Have been in business for 2 years or more. Have a valid dental license. Have a good online reputation. Offer at least one form of financing or payment plan. Provide quality dental treatment and charge fair prices. Have significant experience with dental implants. The Dental Implant Cost Guide (DentalImplantCostGuide.com) is the leading online resource for determining how much dental implants and other complex dental procedures will cost you. We seek to provide the most comprehensive, up-to-date and unbiased information about dental implants to help consumers learn how they work, determine whether or not they can afford them and find a dentist they can trust. Our site receives over 90,000 visits every month from people who are considering getting dental implants and is a growing online destination for those who are actively seeking for a quality dentist or surgeon in their area. Many are also interested in traveling abroad to get access to affordable treatment. Dental tourism is an increasingly popular choice for consumers who want affordable treatment. The primary reason people travel abroad for dental care is to save money and our site is one of the first they end up on when determining and comparing the costs involved. Interested? Add your clinic today! We have the patients who need what your clinic has to offer. Advertising with us will provide great exposure for you and your clinic and will likely deliver the best return on investment for your online marketing dollar. Start generating leads for your practice. Add your clinic today.